The caviar of citrus, finger limes have an incredible, herbaceous lemon/lime flavor. When carefully sliced open, and gently squeezed, the fruit will release tiny pearls filled with this incredible juice. We love to use it as a topping fish or dropped into a cocktail for a little bit of acidic, tart bite. 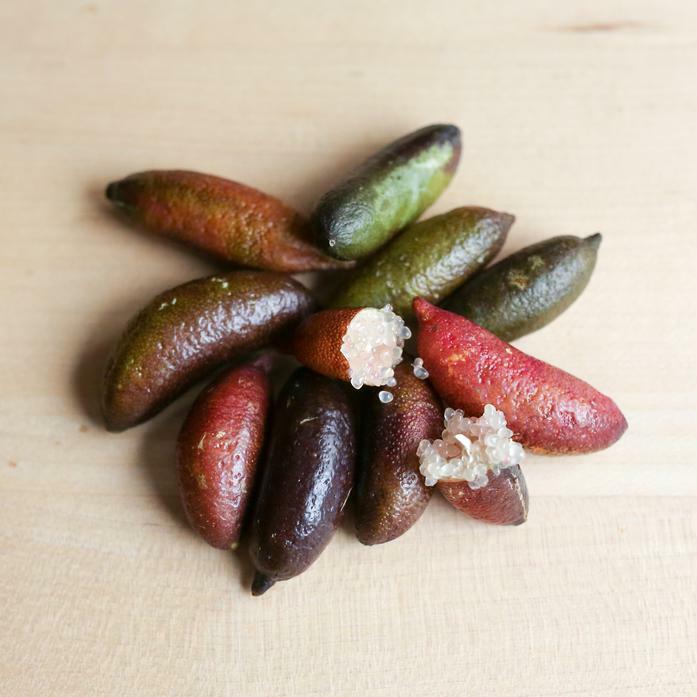 Our finger limes are small (about the size of your pinky) and purple on the outside.